SAVE A TON AND BUY BETTER THAN NEW!! 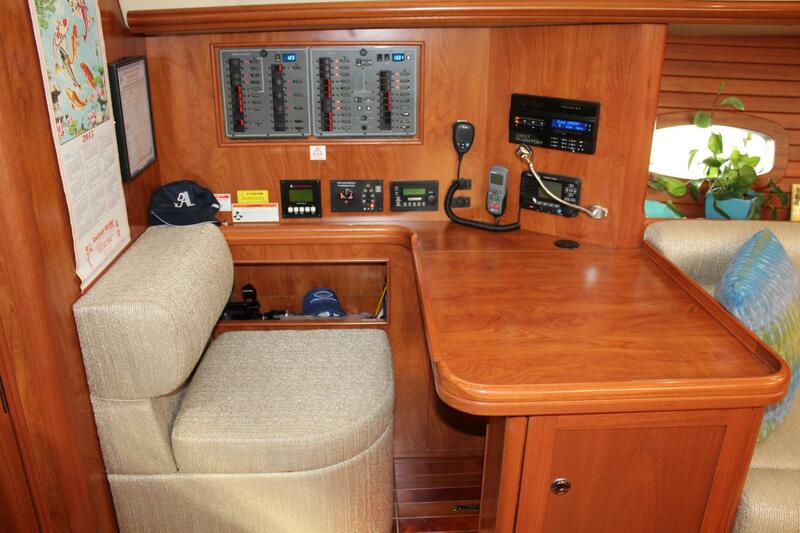 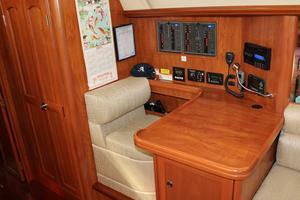 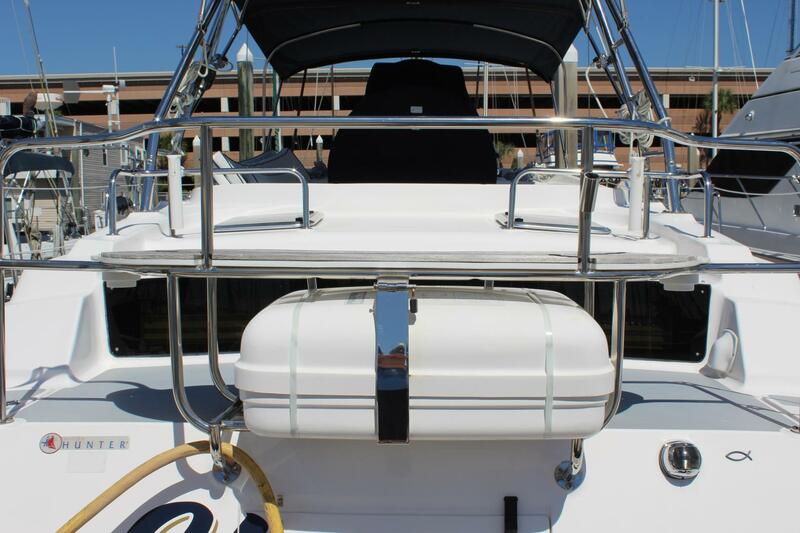 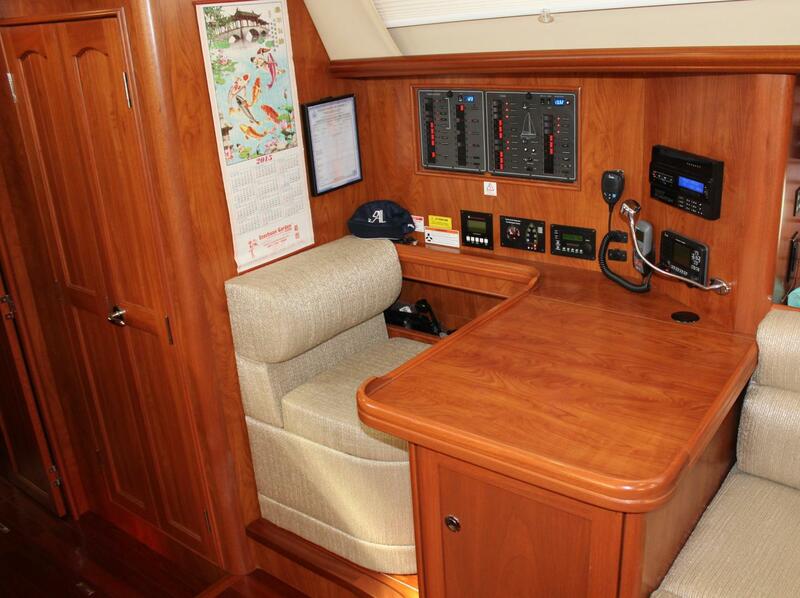 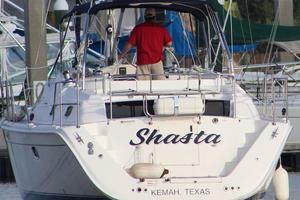 Shasta is a terrific example of the very popular Hunter 50 Center Cockpit. 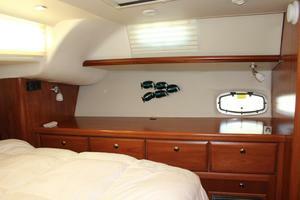 She is loaded with options and her meticulous owners have spared no expense to keep her in Bristol condition. 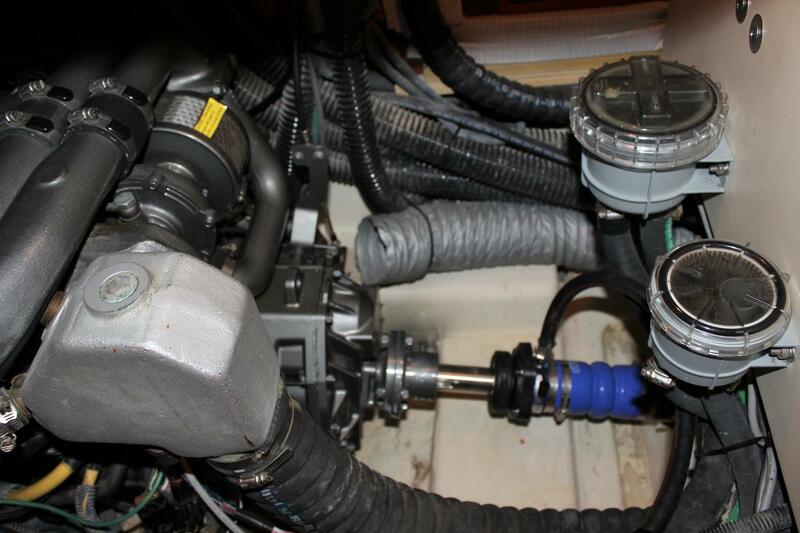 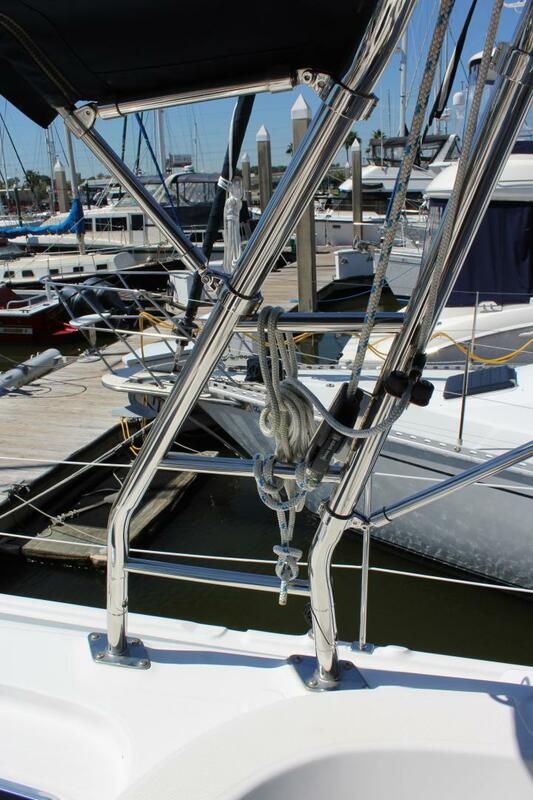 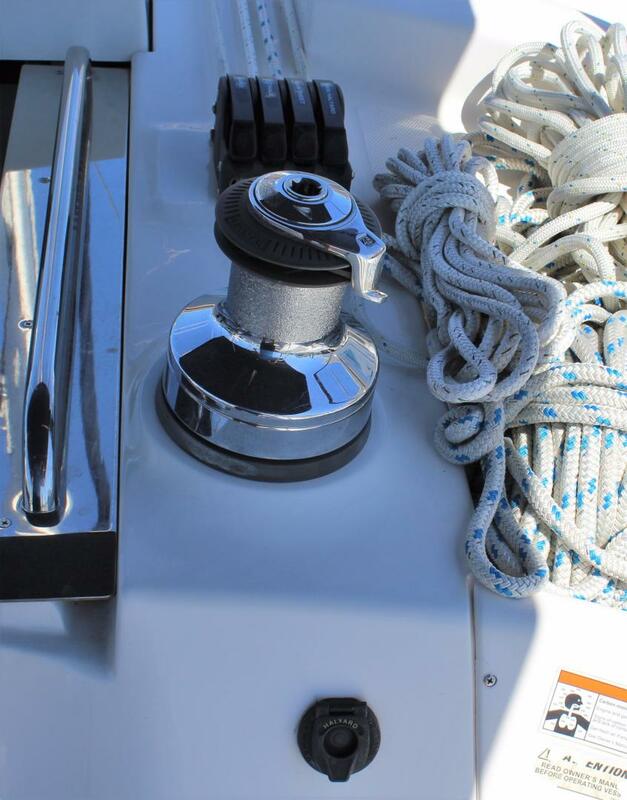 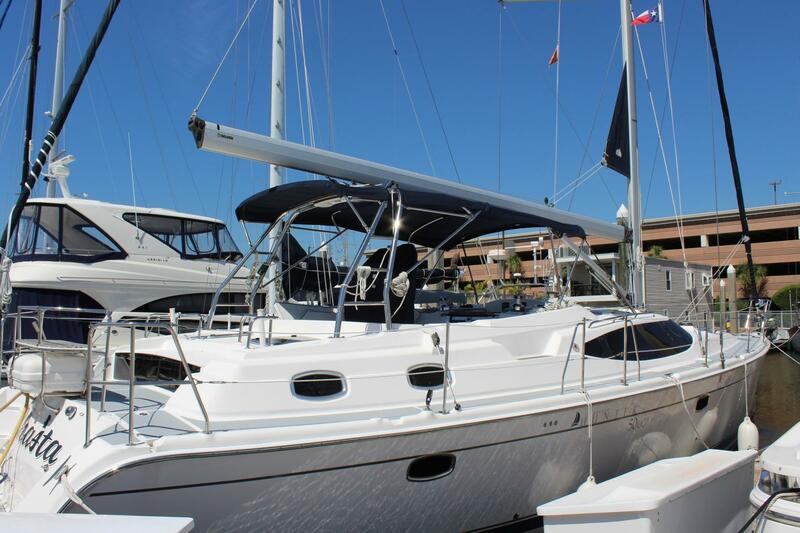 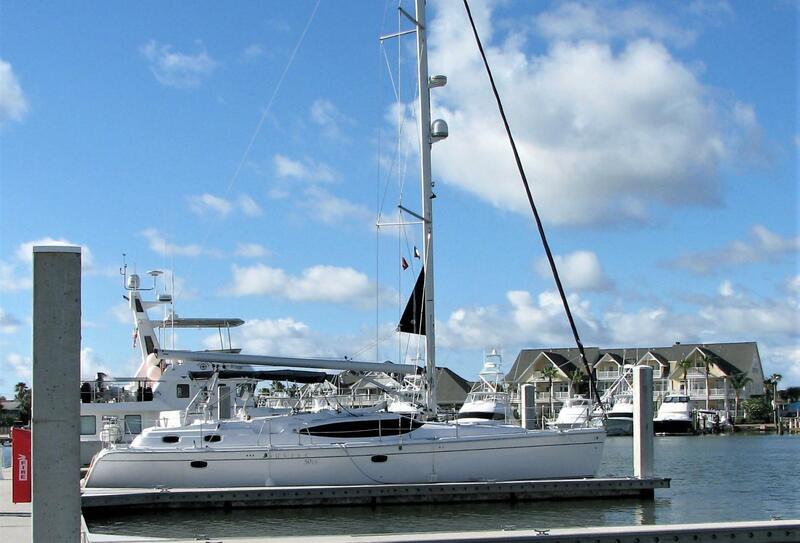 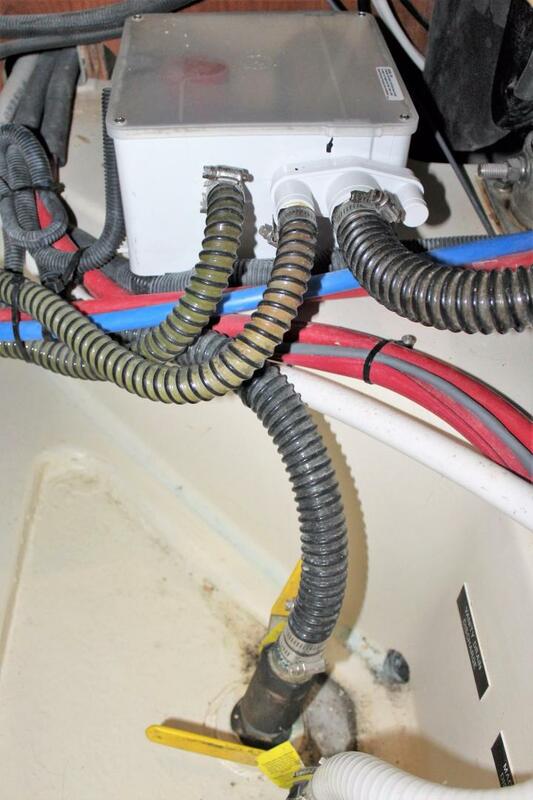 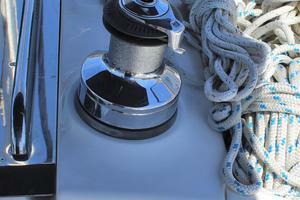 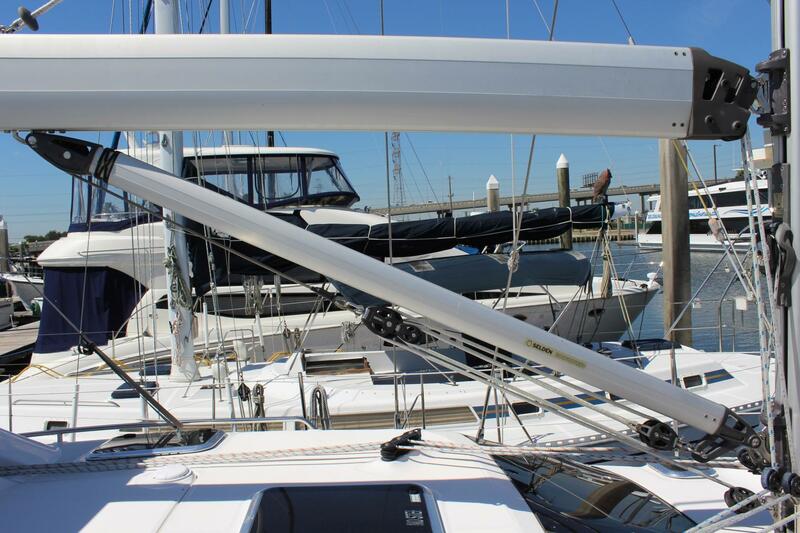 Her electric winch, heavy duty autopilot, lines led to the cockpit, self-tacking jib and sail controls led to the helm make her easy to sail without the need for help from crew and her bow thruster makes docking a breeze. 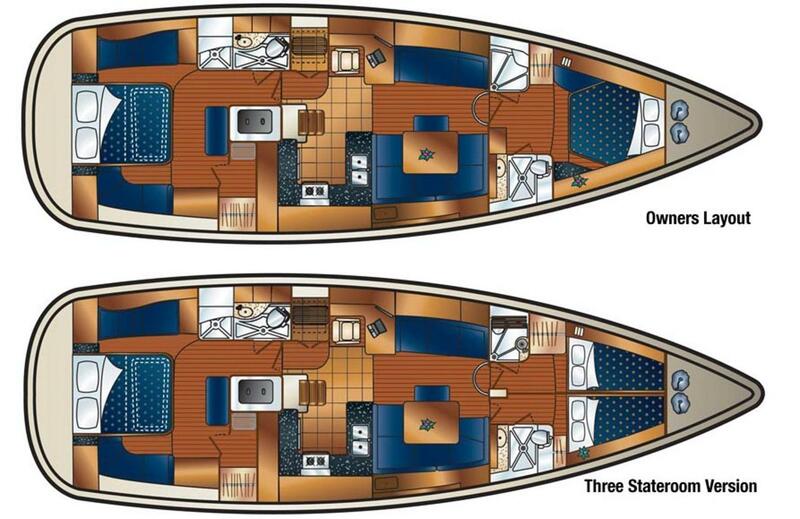 Below, she is stunning. 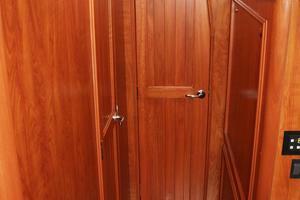 Her solid cherry flooring and cherry cabinetry throughout is luxurious and well-executed. 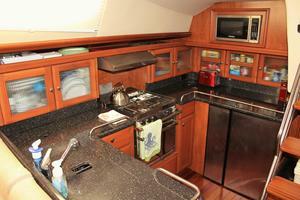 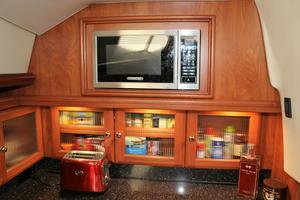 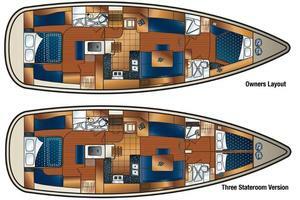 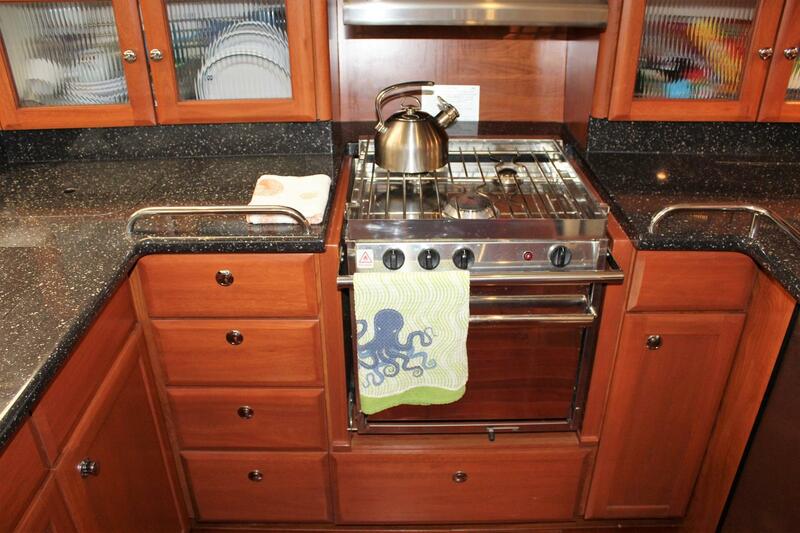 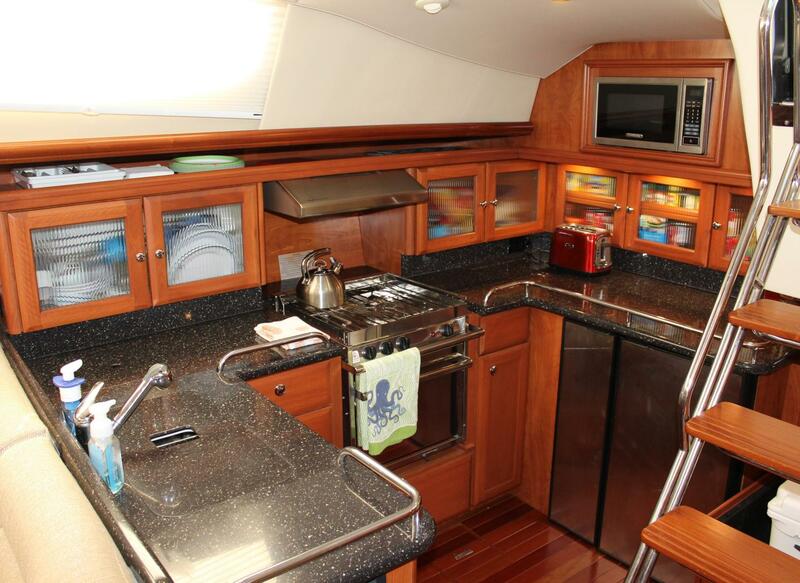 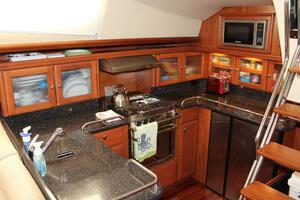 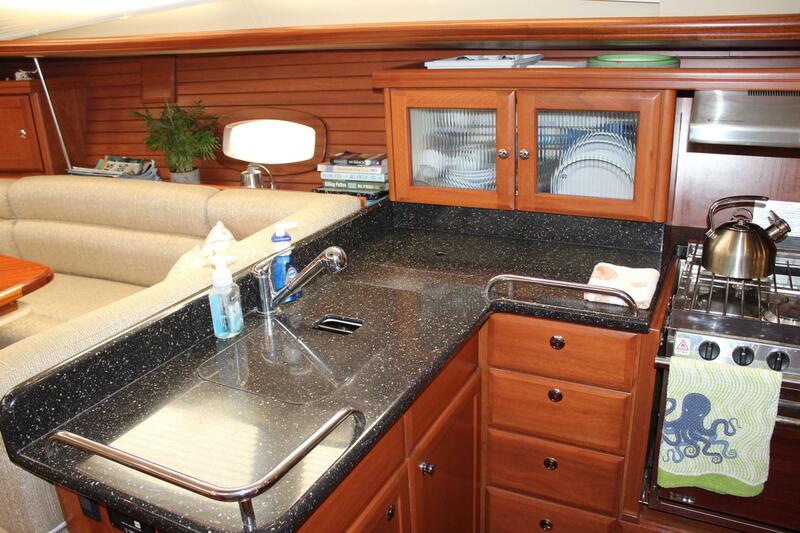 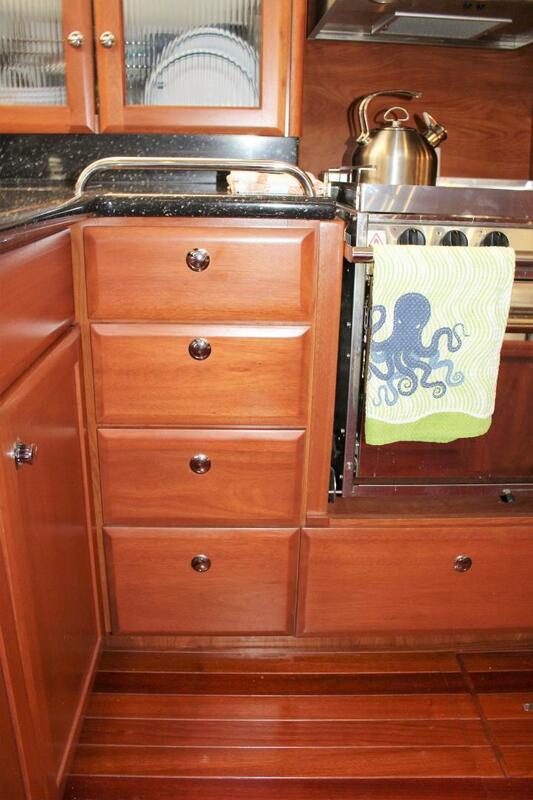 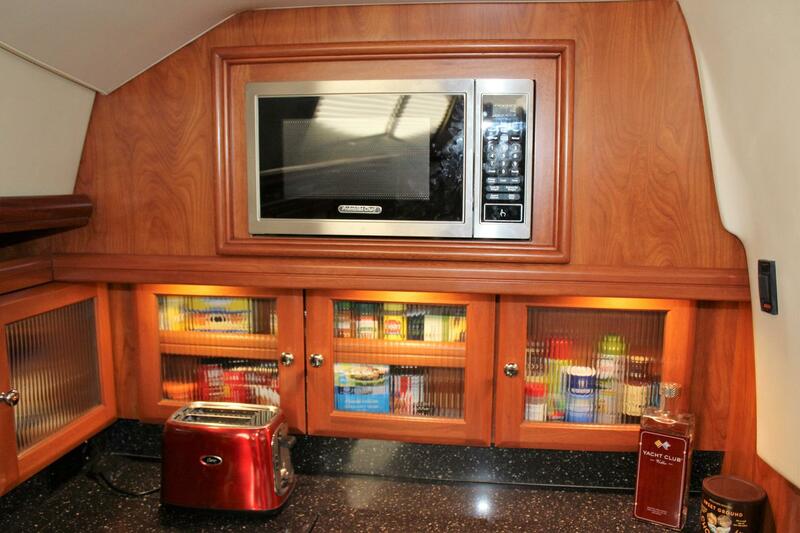 The galley is huge, well laid out and will be the pride of the most discriminating chef. 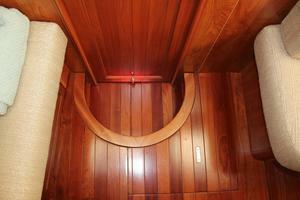 The salon is spacious, warm and has plenty of natural light. 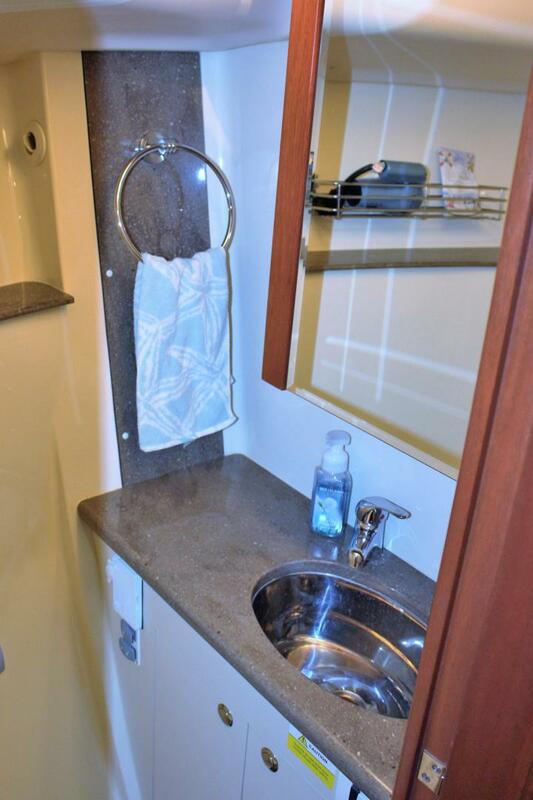 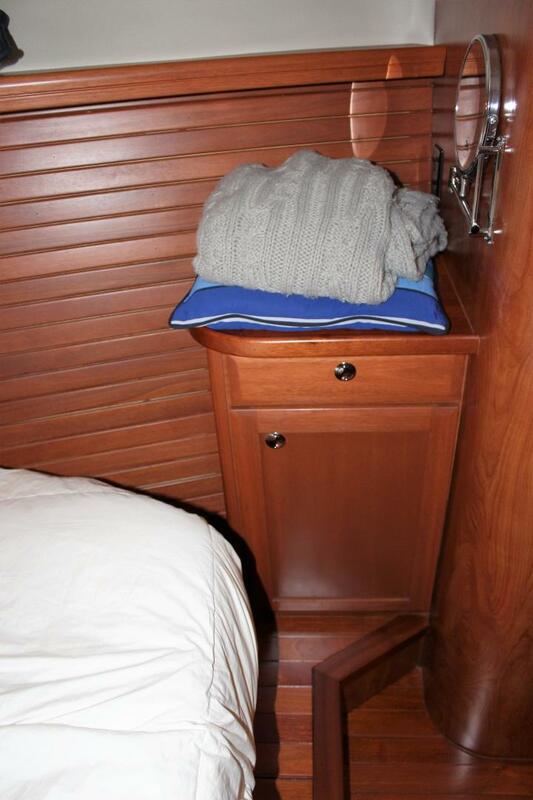 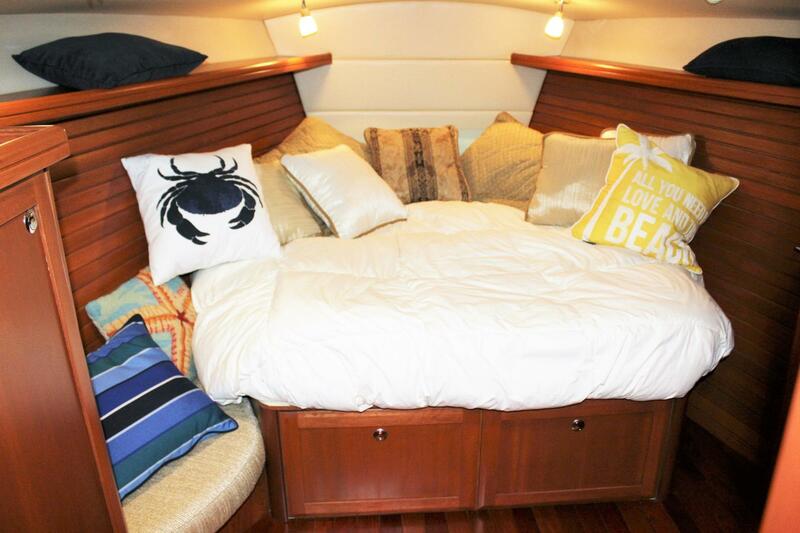 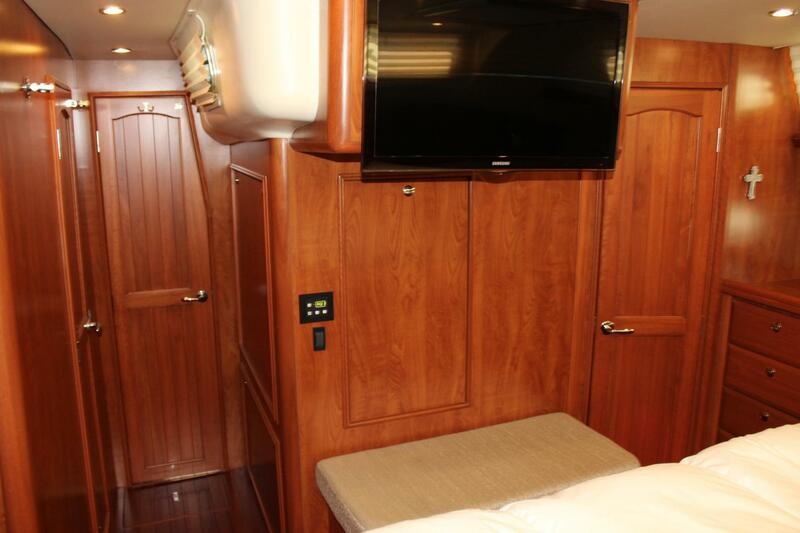 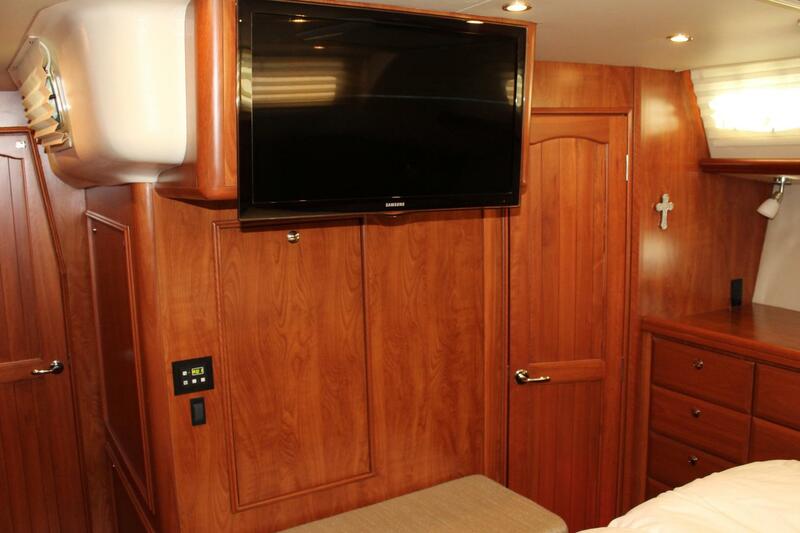 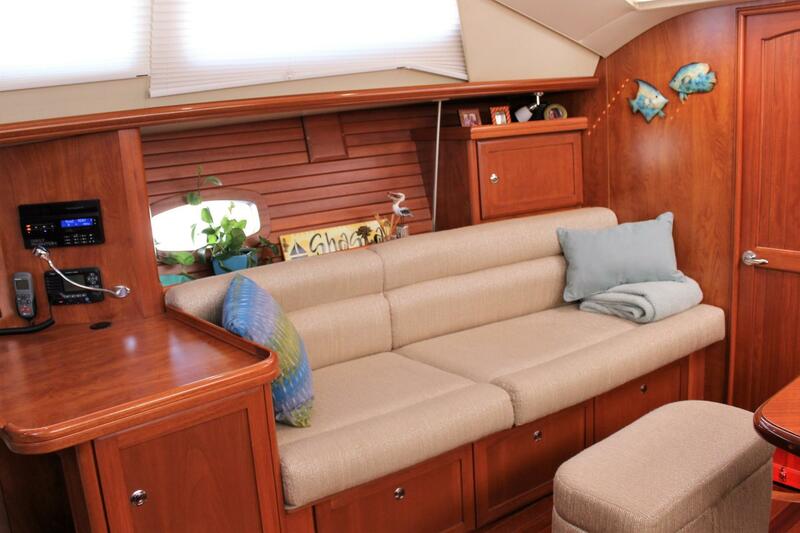 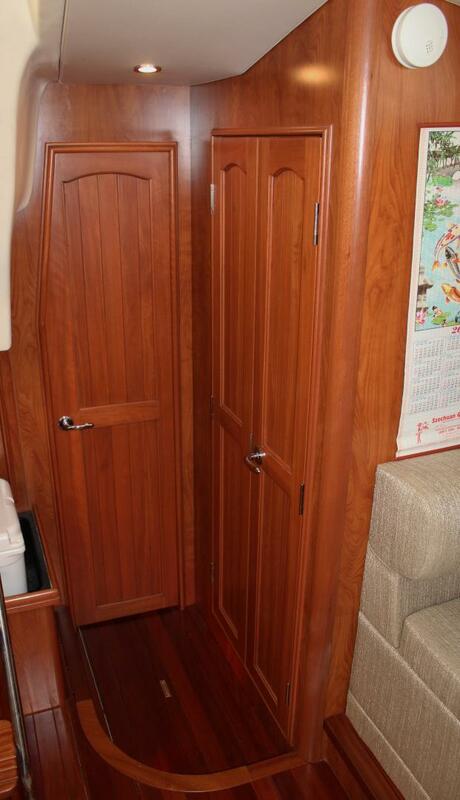 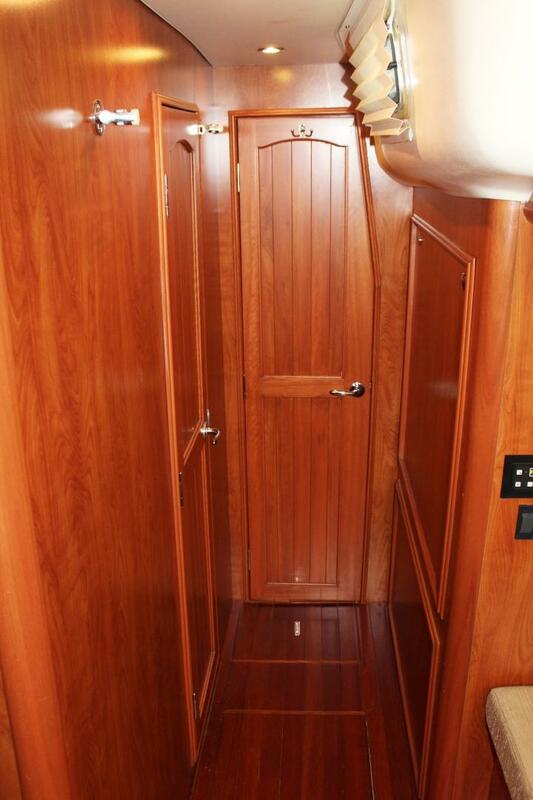 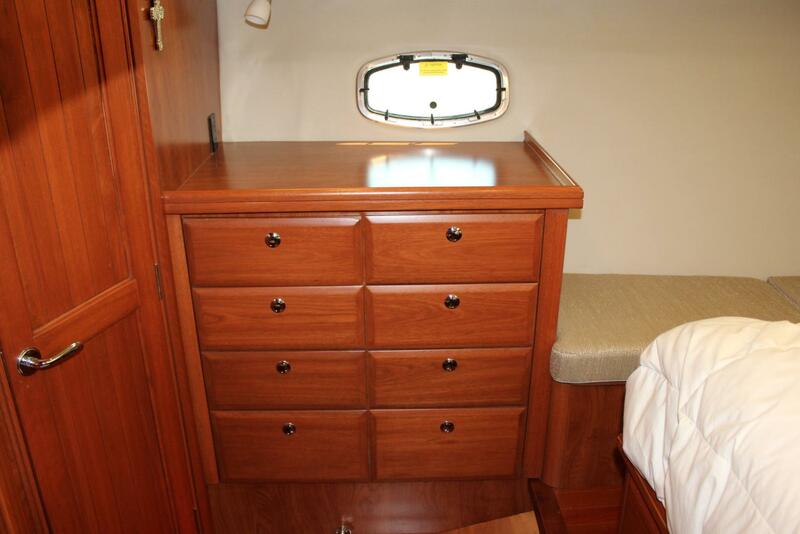 The aft cabin has a walk-around queen/king, walk-in cedar closet, private head, separate shower and excellent all-around fit and finish. 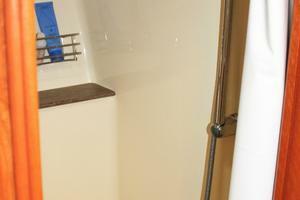 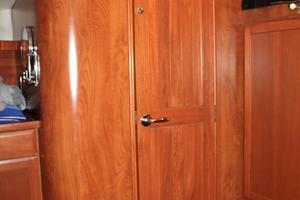 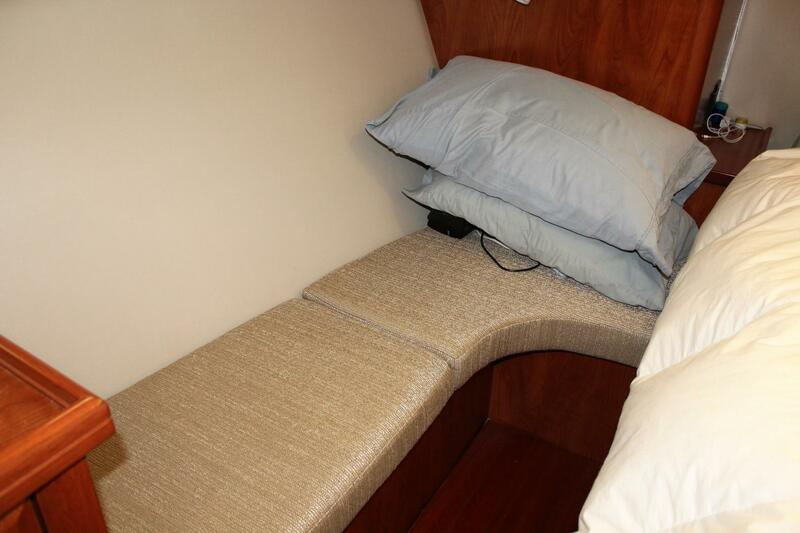 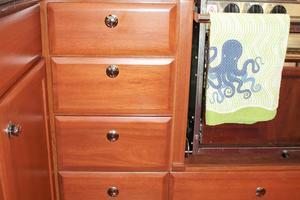 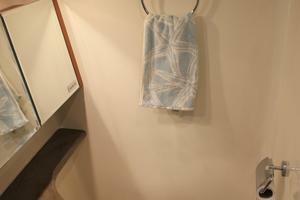 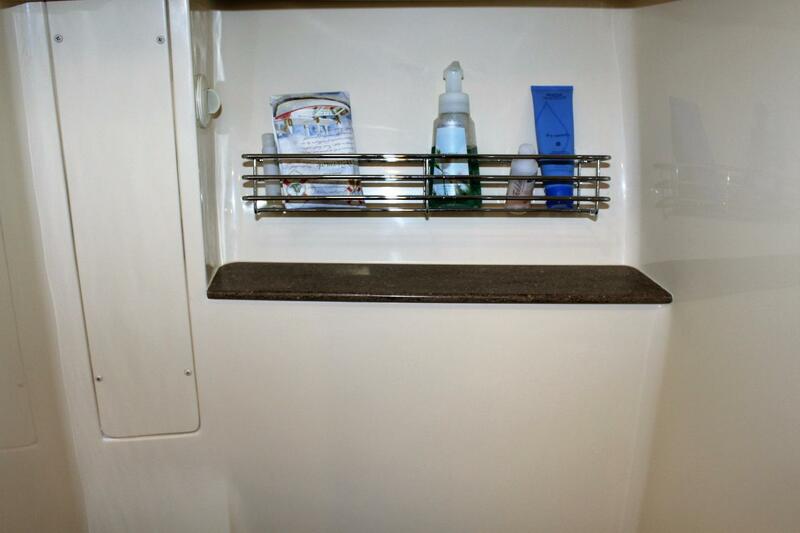 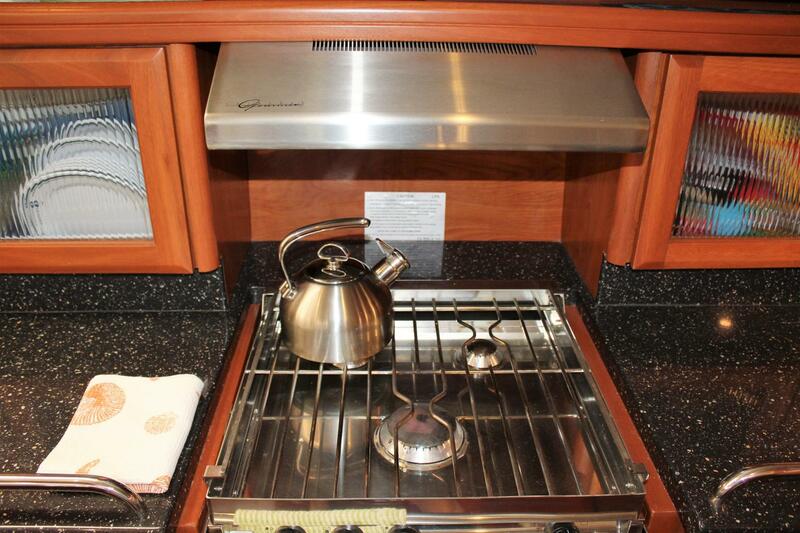 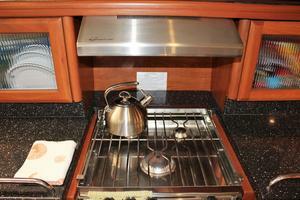 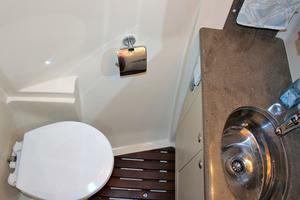 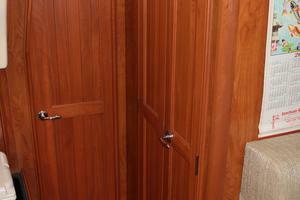 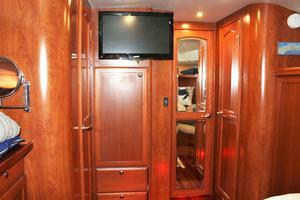 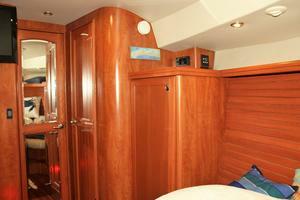 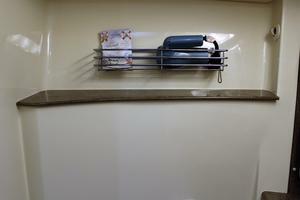 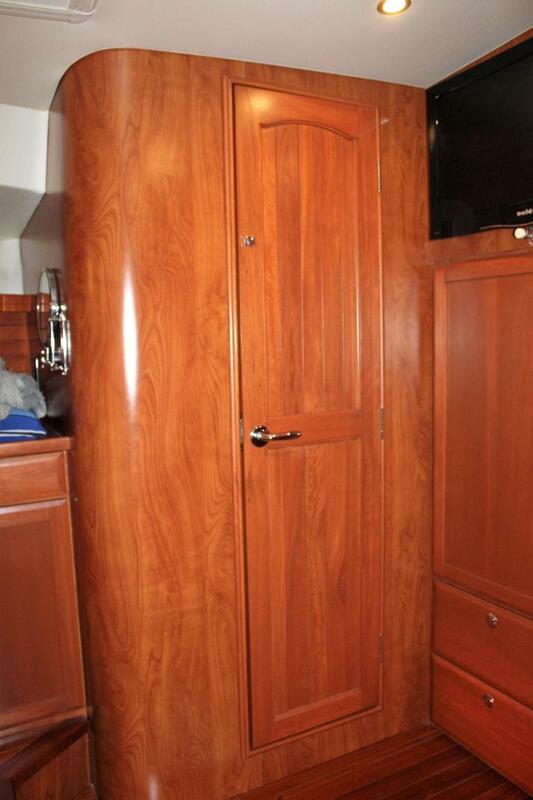 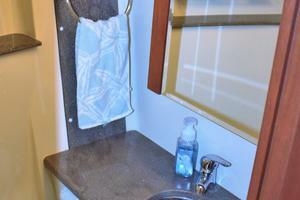 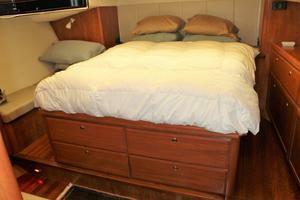 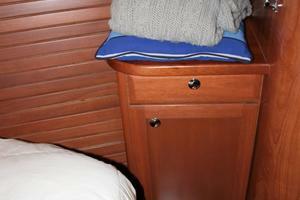 The forward guest cabin is also nicely appointed and has a private head and separate shower. 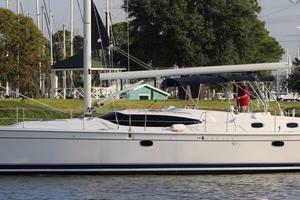 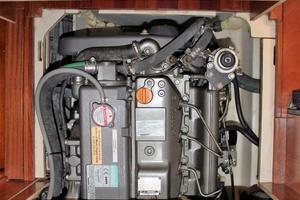 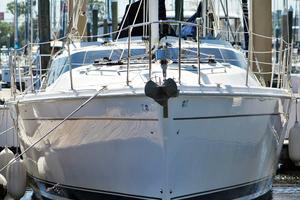 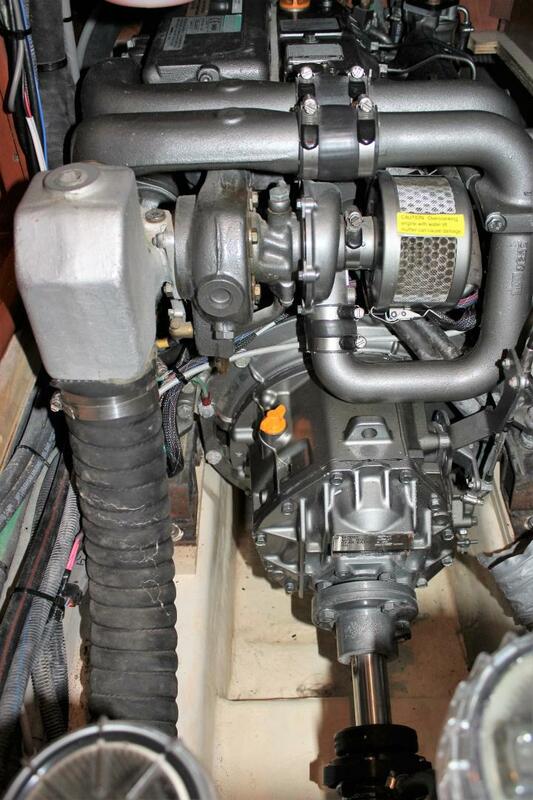 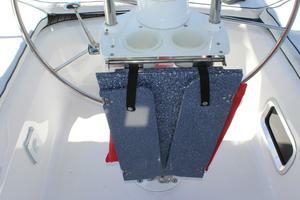 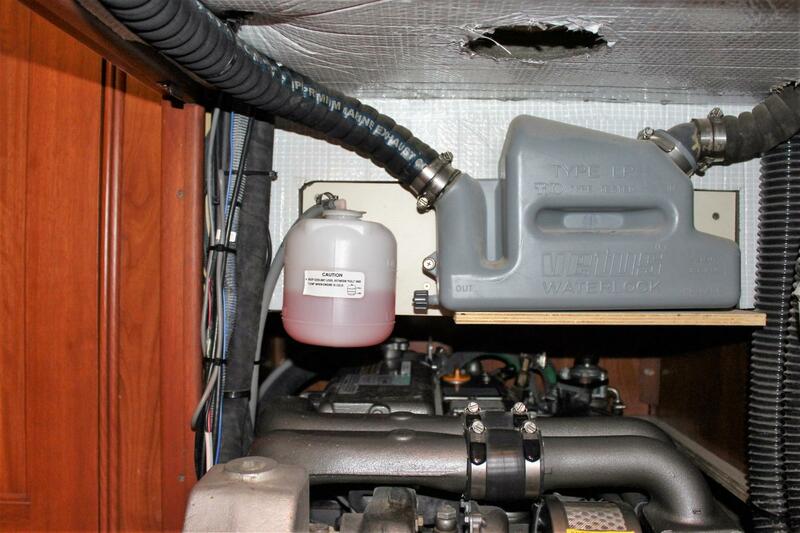 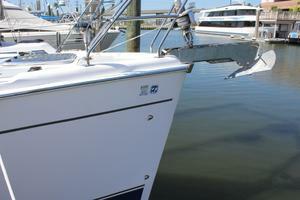 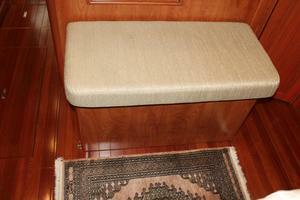 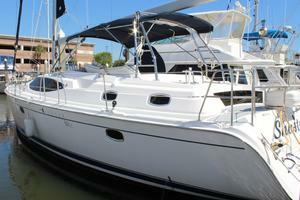 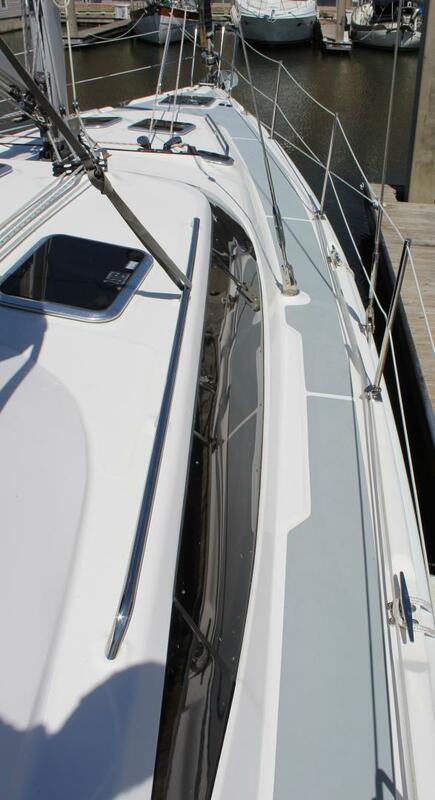 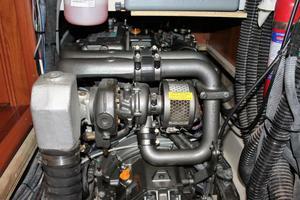 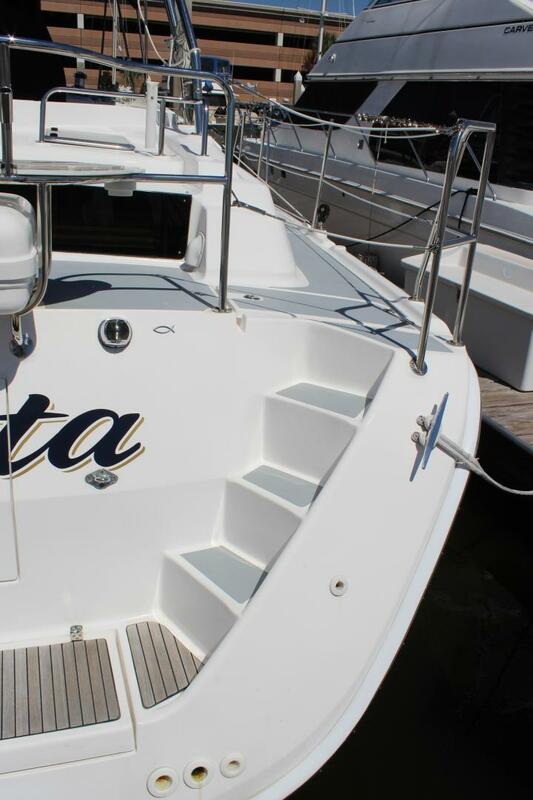 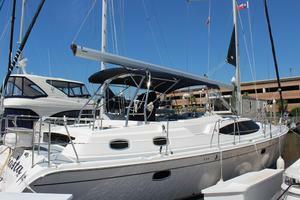 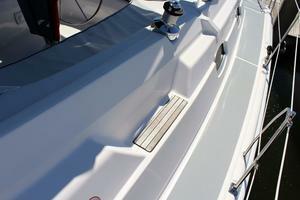 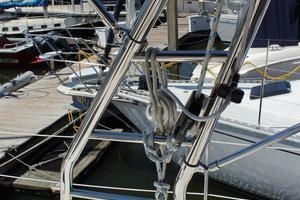 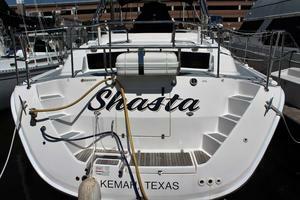 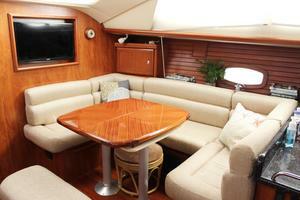 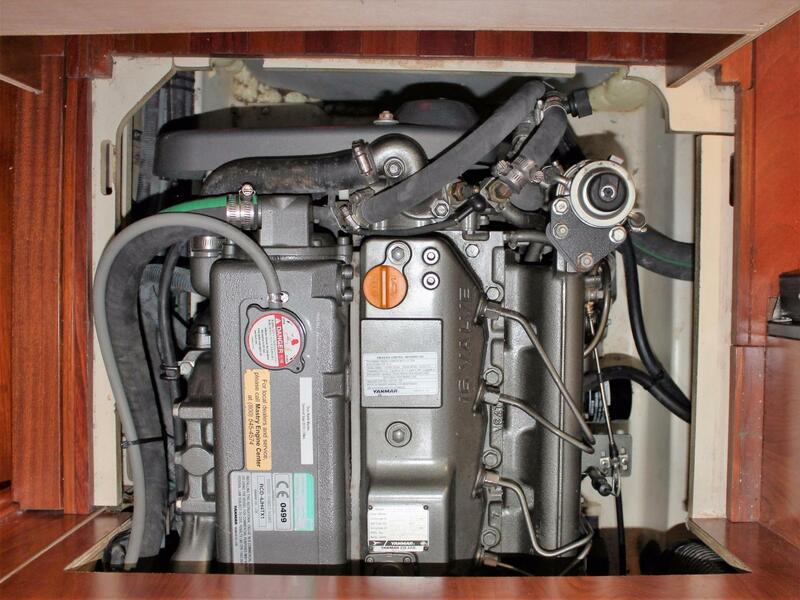 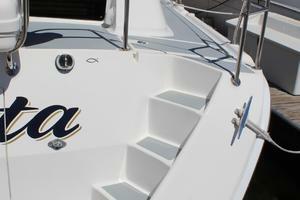 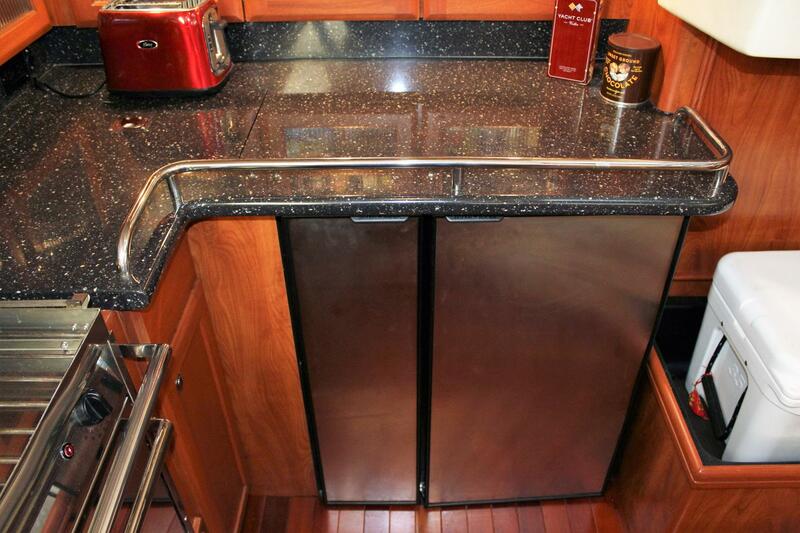 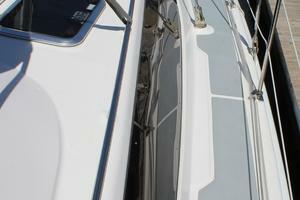 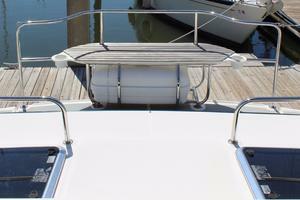 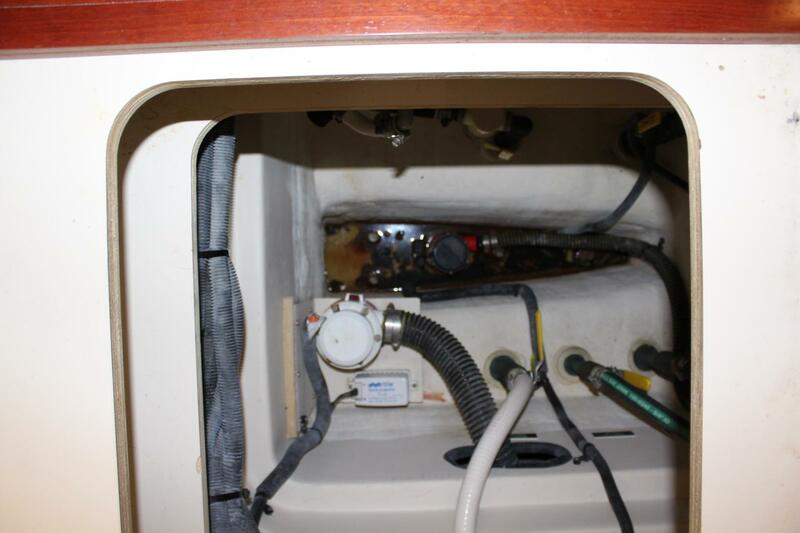 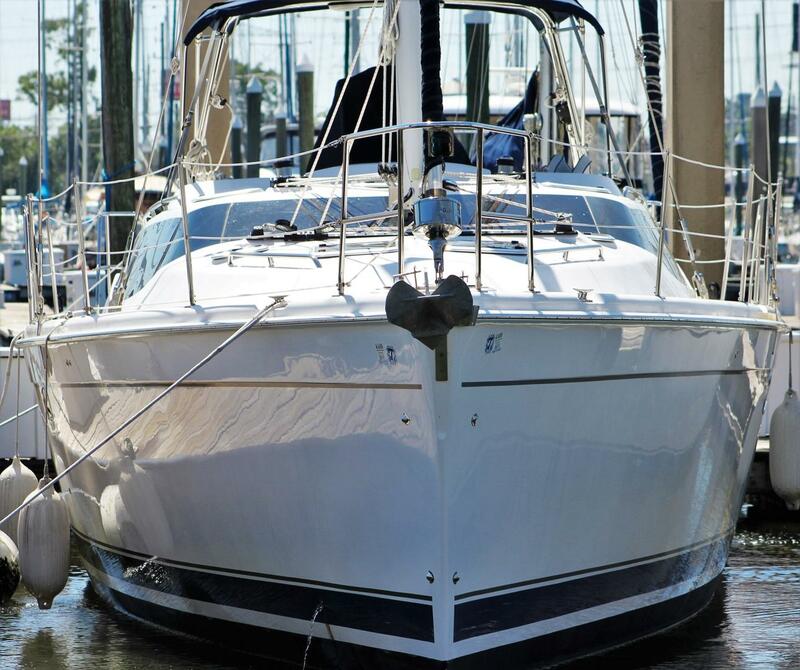 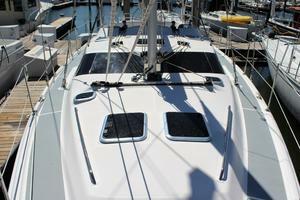 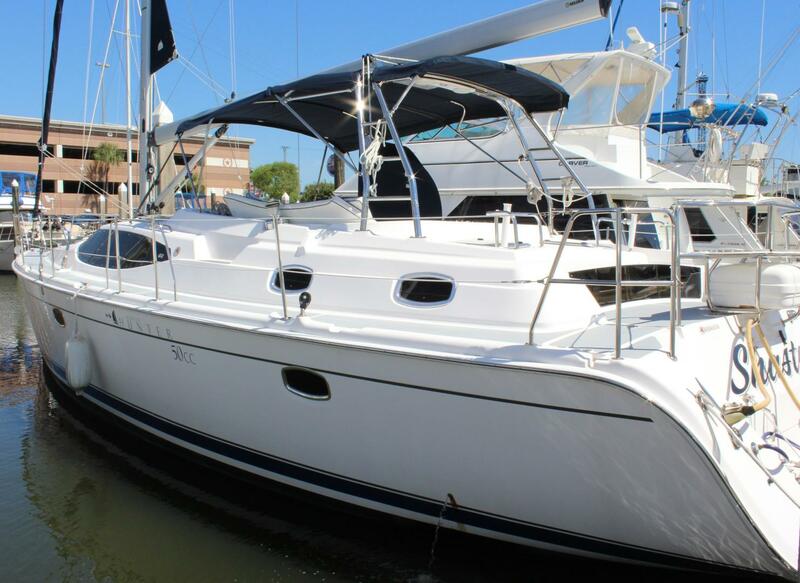 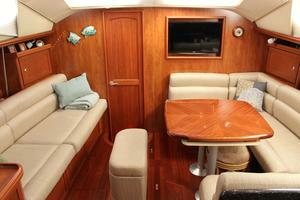 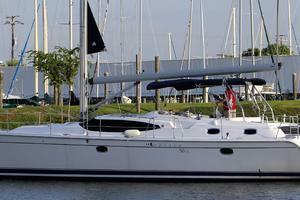 Shasta is in “better than new” condition but can be bought for significantly less than a new boat. Contact the listing broker today to set up a time to see Shasta! 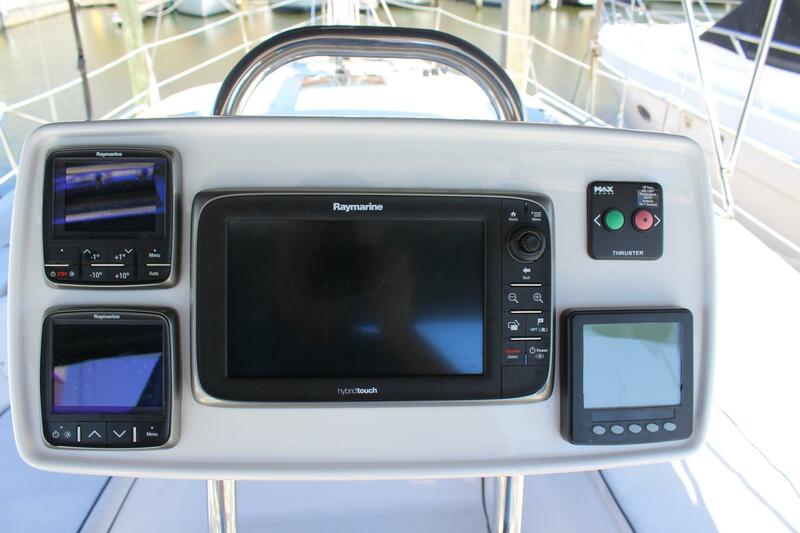 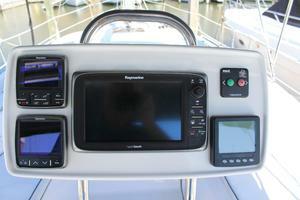 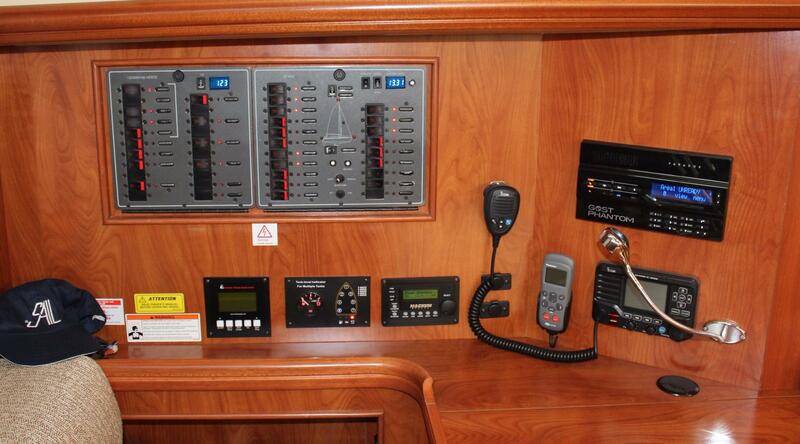 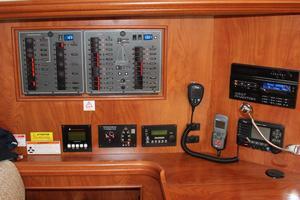 Full engine display on NavPod at helm—hours, temp, fuel level, RPMs, battery etc. 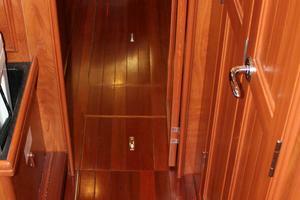 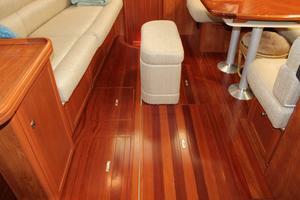 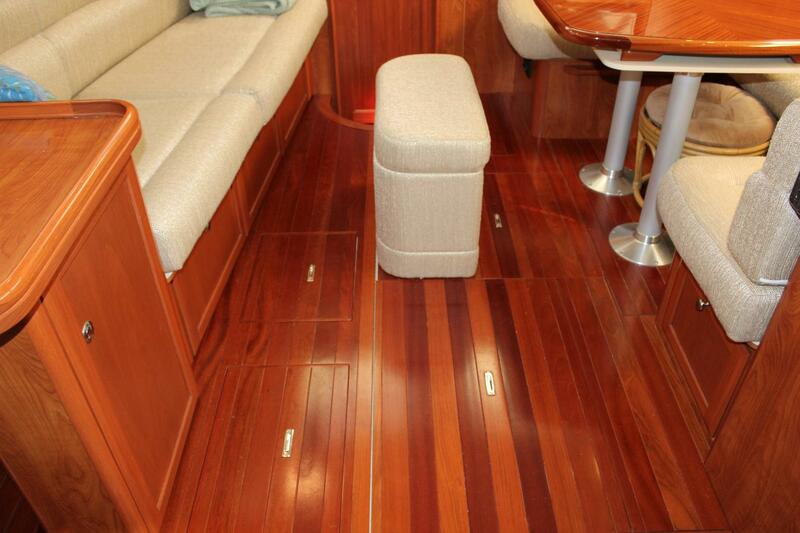 The flooring throughout the vessel is beautiful solid cherry, not veneer and not a plastic laminate wood-look-alike material. 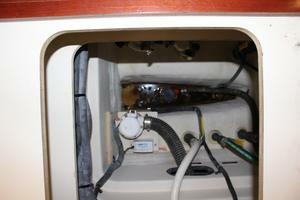 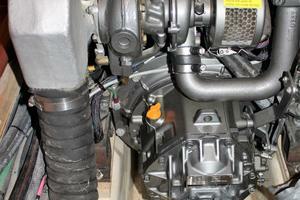 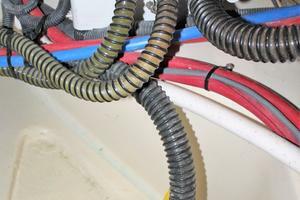 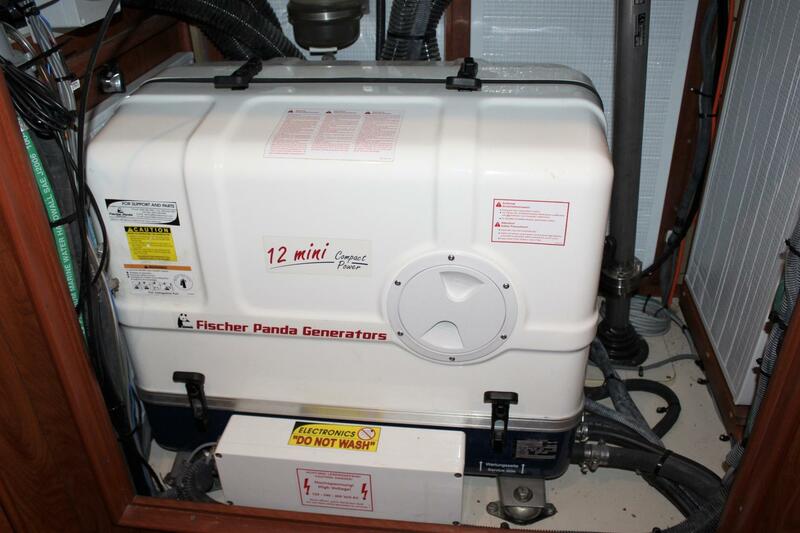 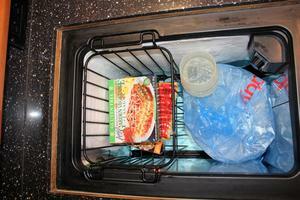 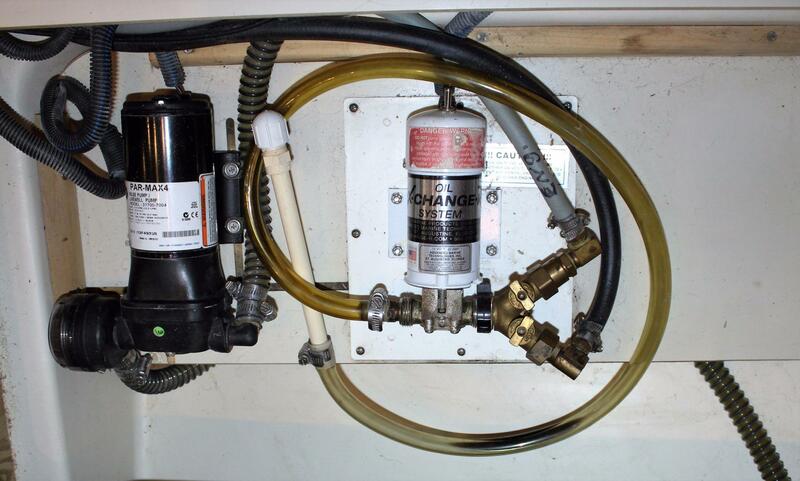 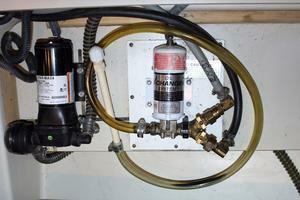 There are 3 heating and cooling zones that are separately controlled. Shasta has 3 large flat screen TVs, each with a separate receiver. 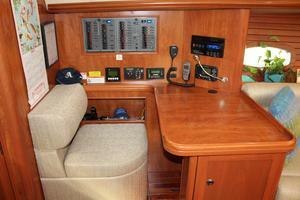 Shasta also features a brand new KV5 TracVision (subscription required). 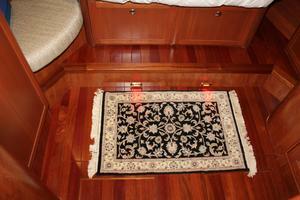 Courtesy lights throughout vessel. 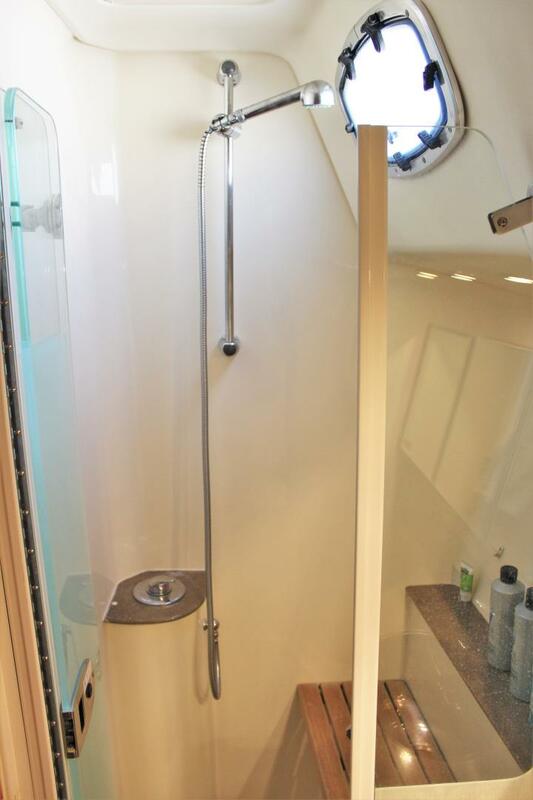 The Master Suite Head features a separate stand-up shower stall with adjustable height setting, shower seat, LED lighting, opening port, Quiet-Flush electric commode, vanity with Corian top and SS sink. 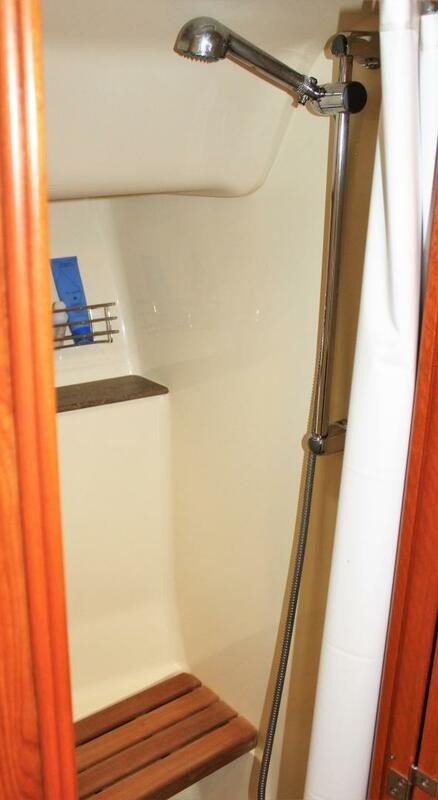 The Guest Head forward, is split. 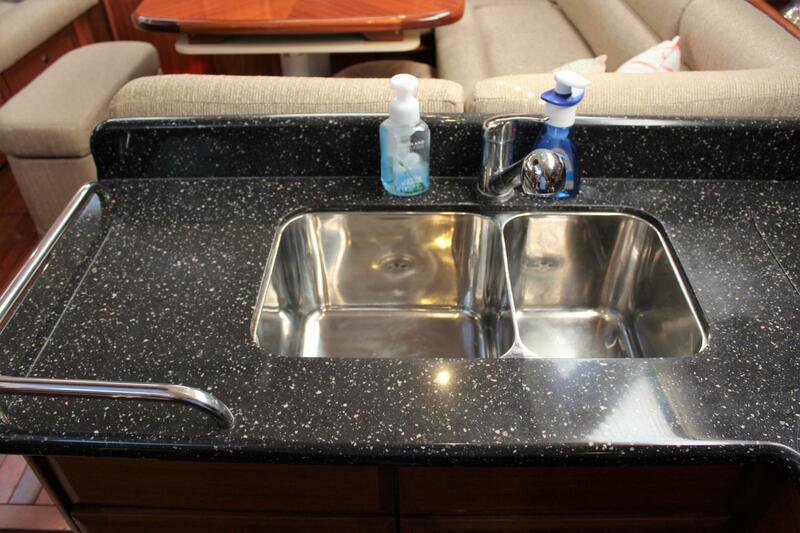 The Quiet-Flush electric commode with Corian top vanity and SS sink is to starboard. 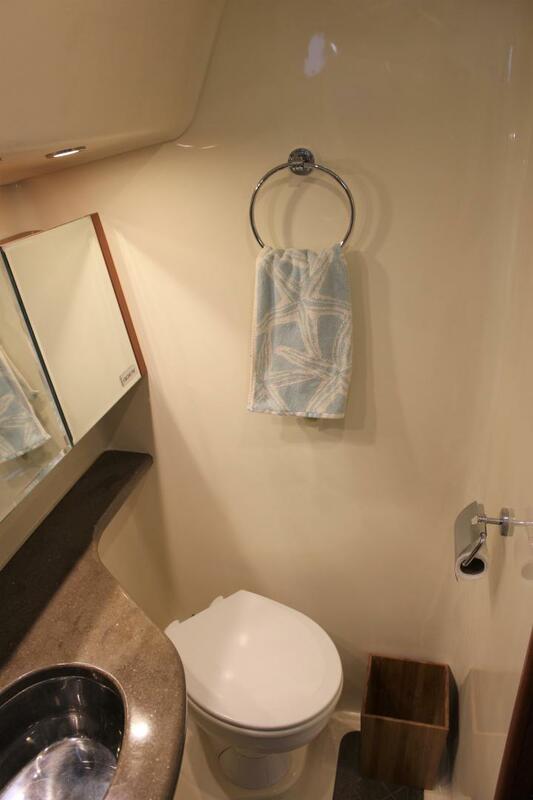 A separate shower is across the small hall to port. 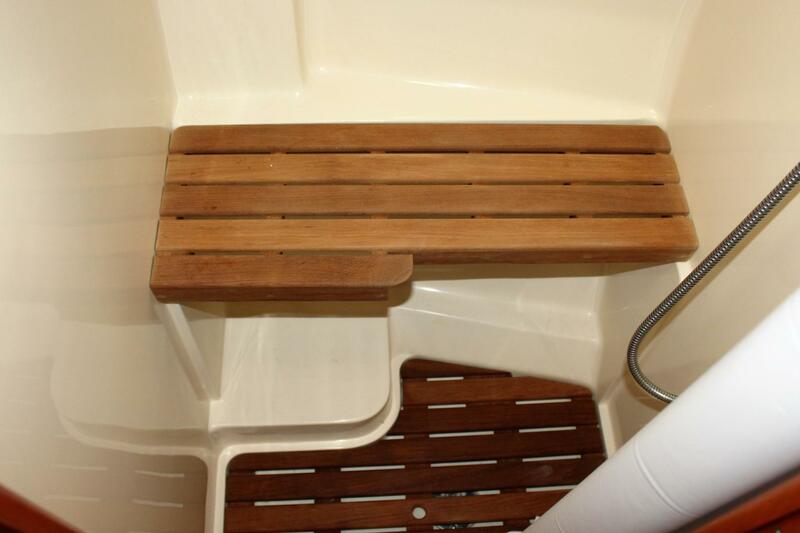 The guest shower also has a seat and the shower height is adjustable. 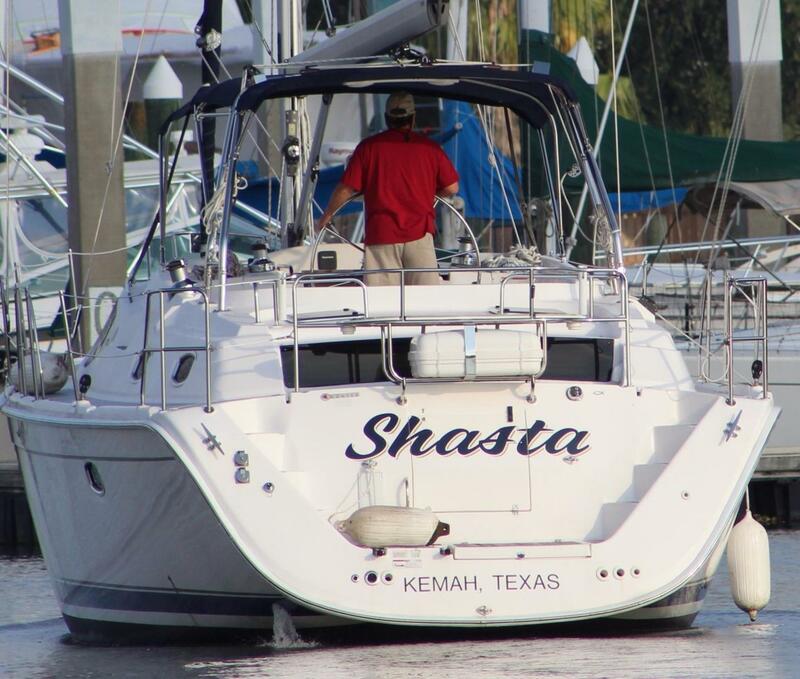 Shasta is set up for easy, shorthanded sailing. 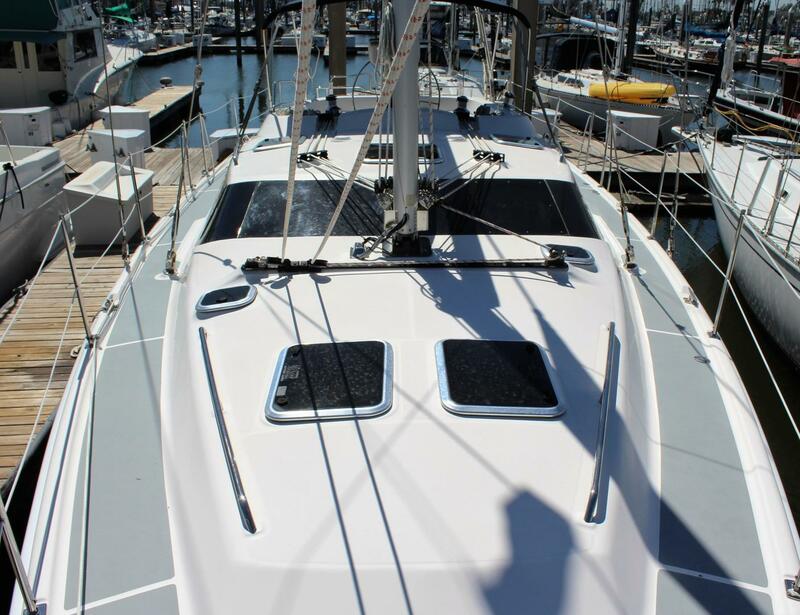 Her lines are led to the cockpit, her jib is self-tacking and the primaries and mainsail controls are within easy reach of the helm.